Digital video has taken flight in Ireland. According to March 2015 research by Nielsen for the Interactive Advertising Bureau Ireland (IAB Ireland), 67% of internet users ages 16 and older in Ireland had viewed video-on-demand (VOD) in the six months leading up to polling. 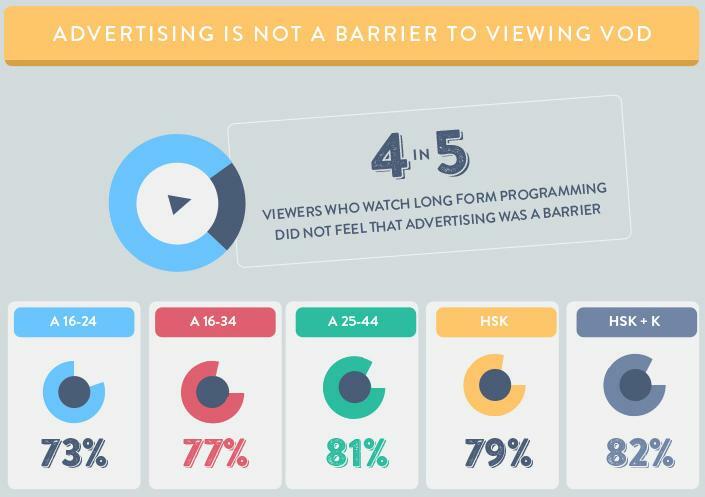 Viewers skewed young, with respondents ages 16 to 44 accounting for more than two-thirds of the total. Usage was evenly split between males (49%) and females (51%). Laptops were the most popular screens for video on demand distribution, used by 67% of viewers. Despite their smaller screen size, smartphones—which eMarketer expects 3.0 million consumers of all ages in the country, or 60.5% of the population, to use this year—beat out tablets for second place, at 49% vs. 35%. Set-top TV boxes and desktops were each cited by around one-quarter of respondents, while smart TVs and game consoles didn’t break 20%. However, IAB Ireland reported that smart TV usage for VOD viewing was on the rise among viewers younger than 45. Fully 23% of those ages 16 to 24 used such a device, as did 21% of the 25-to-44 group.